Accessories add the perfect touch to any gift giving occasion. Buying accessories for her can help bring out her unique style, make an affordable addition to a collection of gifts, or provide functional solutions that make her life easier or more organized. Accessories are excellent stocking stuffers for women, fabulous gifts for casual friends, and magnificent solutions when it comes to office gifts. With so many ideas for accessories for her available on the market, however, selecting the perfect gift can be hard. While shopping at your local five and dime might be tempting when searching for accessories for women, it’s probably not the best solution. Many of the accessories you’ll find at your bog box store or that corner discount store are poor quality, generic items that are simply a waste of your valuable time and hard earned money. 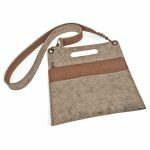 Fortunately, the elves at ChristmasGifts.com have done their research to find creative merchants who offer high quality accessories for her that are not only affordable, but unique as well. Whether you are searching for accessories for your wife or girlfriend, your daughter, your favorite office worker or a casual acquaintance, we’ve got great ideas for accessories for her! Office Christmas Gifts: Accessories make wonderful Christmas gifts for the ladies in the office. They are affordable, useful, and can even add a special touch to another gift you have chosen. Choose from things like personalized pens, notepads and other desk accessories, or accessorize the office, lobby or breakroom with photo frames and unique wall art. Travel Gifts: Add comfort or organization to her business trips with travel accessories that make being away from home easier. Some ideas to consider? 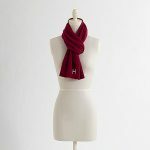 Travel pillows, headphone beanies, an accessory organizer, or a personalized scarf or gloves are all wonderful accessory gifts for traveling ladies. Christmas Gifts for the Home: Add a one of a kind charm to her décor when you consider accessories for the home this Christmas. With everything from custom photo frames, unique Christmas ornaments, and even personalized door stoppers to kitchen accessories, breathtaking area rugs and fun accessory pillows, you are sure to find the perfect accessory gifts for her.